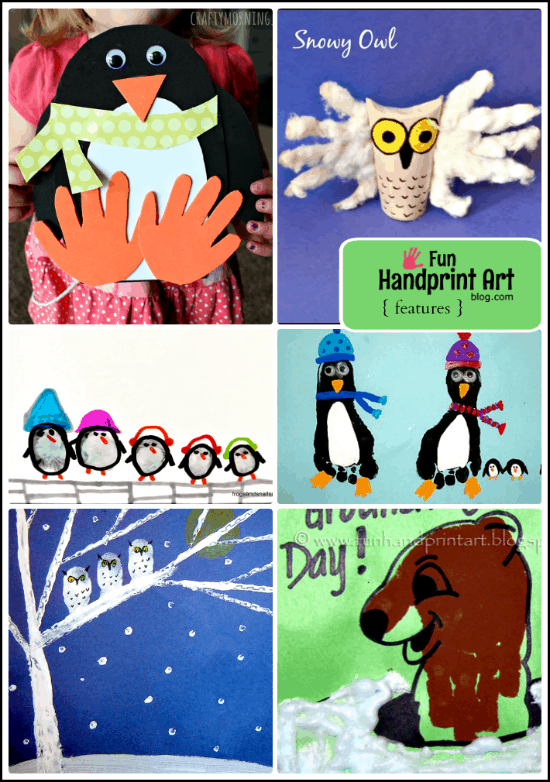 Looking for Polar and Winter Animal Crafts made with handprints and footprints? Here are 14 that make a fun way for preschoolers to learn about Arctic and Antarctic animals plus Winter birds. If your looking for a craft that doesn’t paint, check out this foam Penguin craft. I still have this toilet paper tube Snowy Owl displayed on a shelf (I’m a bit owl obsessed!). 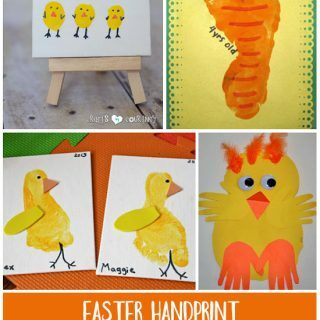 Get the whole family involved with this Penguin Family from fingerprints or thumbprints idea. We make Penguins from footprints almost every year. Love these thumbprint Snowy Owls, they’re snow owldorable….tee, hee! 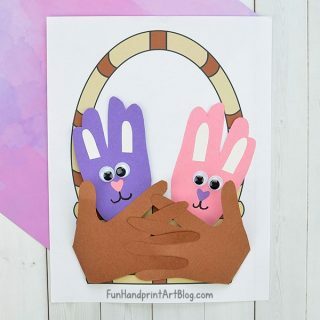 This handprint Groundhog craft uses a puffy snow paint recipe. I adore this Polar Bear handprint craft we made several years ago as a mommy and me craft. It looks like the kids who made this thumbprint Penguins kindergarten project had a blast. This Moose craft for kids is awesome and would look great hanging up as decor. Make this cheerful Robin from a footprint to brighten up a gloomy day. Ever heard of the unicorn of the sea? See this Narwhal craft by Red Ted Art……. …… who also shares this Walrus made from handprints. Footprint Seal – isn’t it cute?! House of Burke loves handprint crafts and we love their Orca footprint craft! Looking for more Winter crafts? 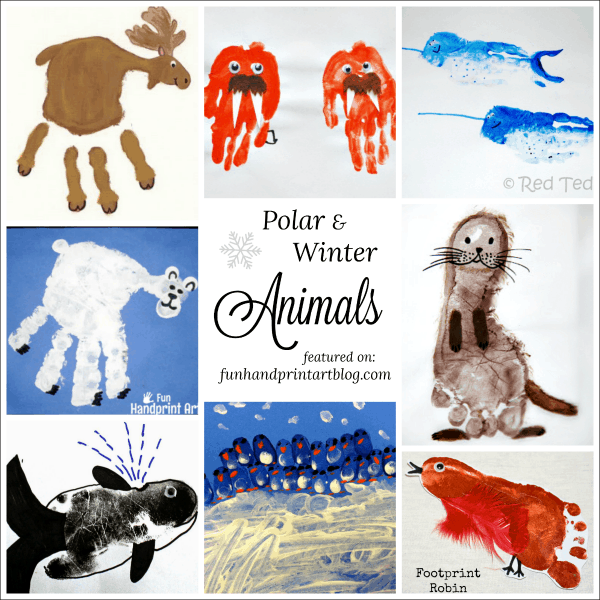 Check out our Winter Handprint Art roundup! My son is so into polar bears right now and these crafts are really cute. I’m sure he would love making a polar bear hand print picture. Thanks for the idea.